Hello. I am attempting to reach out into the community of bloggers who are interested to learning more about Islam, why it is a threat to countries around the world, and what can be done to provide a solution that will allow Muslims to learn to integrate with the values and cultures of other countries. As a start, bloggers need to know who I am and if they agree with my messages and objectives to inform other people how to achieve peace between Muslims and people in many countries. Please go to an Iranian website built by a man from Iran whose people were Persian. It is his goal to preserve his culture. His website provides an extensive library of the history of Islam and many of the great Persian authors, writers, scientists, painters, philosophers, and poets. My own website is: http://www.futureofgodamen.com. 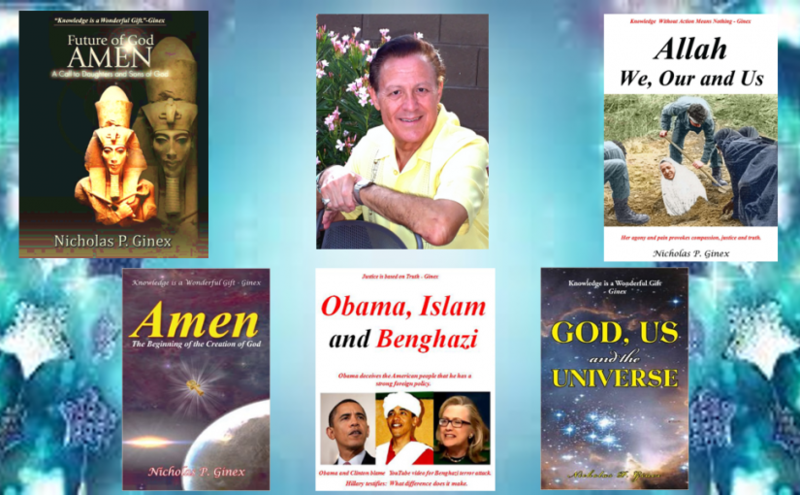 It provides overviews and book reviews for novels that deal with a history of god and religion, politics and philosophy. Five of these books are featured at the top of this post. If you like an article on this blogsite, please share it on yours. More importantly, I look forward to your comments on the articles I have posted. Together, we may be able to acquire knowledge that may make us attain a better understanding of ourselves and experience the love inherent in each other.